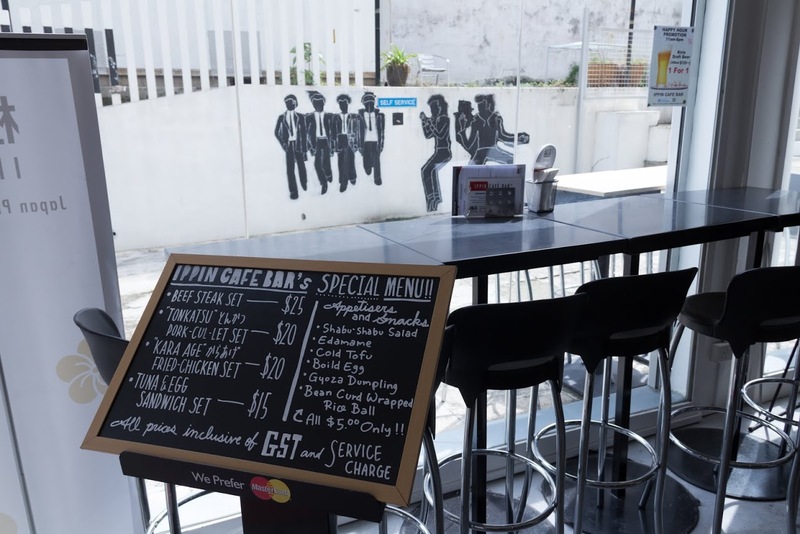 Even with “cafe” and “bar” in the name, IPPIN is not the typical kind of cafe or bar you’d expect. This space along Mohamad Sultan Road is more like a multi retail lifestyle store which also happens to serve food. It is definitely not a hipster cafe (I’m not on the cafe bandwagon) or a pretentious bar. The retail section of this store carries selected products from all over Japan including many food items, drinks and also non edible items like clothing. Today’s tasting included most of their food menu as well as some of their drinks like tea, beer and sake. Being a tea fanatic, it is obvious what I was most interested in! Honestly I did not expect that I would enjoy myself this much today. I didn’t know that Singapore could have a cafe with proper Japanese tea. I casually ordered a glass of iced sencha since one other person ordered the same too. I watched as my tea was being prepared and noticed how it was painstakingly brewed the tea in a traditional kyusu teapot batch by batch. I didn’t plan to do so initially but eventually I asked to try all of them! Genmaicha is brown rice tea and has a unique flavour, which I do love too. Sencha is the most commonly known Japanese green tea and this perfect brew is very delicate, light and refreshing. Can I say I like all of them? I love tea a lot and I can’t just choose one. This wasn’t in today’s menu but after my interest in tea became too obvious, co-owner Ayumi suggested I try the fukamushi cha. Fukamushi cha comes from the same leaves as sencha but is deep steamed – meaning it is steamed for a longer time than sencha, commonly produced in the prefecture of Shizuoka, which happens to be where this brand of tea IPPIN serves originated from. This one is stronger in taste than the regular sencha and I like it! Serious green tea drinkers can get this one. If you want something light and refreshing you can go with the regular sencha. Looking at this photo alone is enough to make me feel zen. 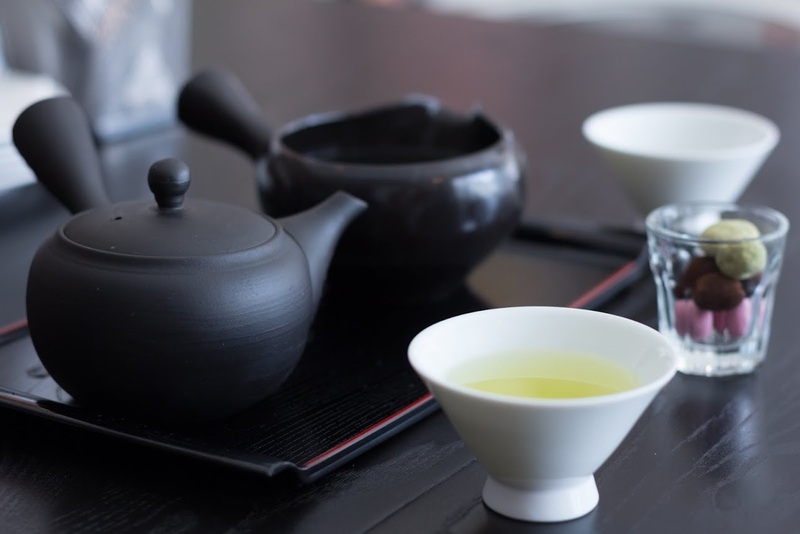 Instead of coffee or sugary drinks (like bubble tea), sometimes when choosing a drink, you can opt for a pot of good tea to feel the calming effect. Different sorts of tea from Marumo available for retail. For connoisseurs you can get the Gyokuro tea. Gyokuro leaves are grown under the shade which makes it different from sencha. The brewing and steeping method is also very different. You actually brew it at a much lower temperature. Kyusu teapot available for sale. I have to go to Shizuoka one day. From left to right we have Granagri (Weizen beer), Dark Ale, Pale Ale (barley) and Koshihikari rice Ale. My personal favourite was the dark ale. I’m not very familiar with beers but it does remind me somewhat of my beer experiences in Belgium (which was the best beer in my life). $9 is very reasonable for beer at a dine in place like this in my opinion! You can have sake tasting here and get 3 sake to taste for $15 nett! Traditionally sake should be served overflowing. I sure enjoyed learning more about Japanese food culture in this session! So the drinks were great. As for the food, they serve home cooked Japanese options using quality ingredients, most of which also sold in the retail section of the store. Seeing these oysters reminded me of my time in Matsushima, Miyagi Prefecture last year. The oysters here are from Hiroshima Prefecture, another area famous for oysters in Japan. I like how the ponzu wasn’t overpowering and I could taste the natural flavours of the oysters. The set comes with salad, rice (notice they added barley in it), Hatcho miso soup and Nikujaga pork and potato stew. A small dessert is also included. I liked this more than the grilled oysters! These fritters were addictive and matched well with the coleslaw on the side. I On a side note, the pork stew as a side may have overpowered the main dish here because it was really flavorful. Oyakodon is something really simple and is commonly found everywhere. This version is definitely good enough with the egg not being too dry and chicken well flavoured. It is served with miso soup and dessert. Yakisoba is another very common Japanese dish eaten daily by Japanese people. It’s as simple as our mee goreng or chow mien. If you don’t want a meal too filling you can choose this one, which comes with a small side dish and dessert. This dessert is very refreshing and almost feels guilt free since it’s yuzu. Coated peanuts from Chiba! Chiba is famous for their peanuts and I was lucky to be able to check out the place 2 years back. These peanuts looked really ordinary but it’s actually way crunchier than what we normally experience with the peanuts we commonly find locally. Aside from what I featured, they have other items on the menu too. Overall I really like the concept of IPPIN. There isn’t many places where you can have a good drink (properly brewed I mean) unpretentiously and I’m glad this is a place to go! I would go there for tea in the day or beer and sake in the evening. The food here is inexpensive too, making it a good choice to settle a simple casual meal, considering most other restaurants in this area are typically upmarket and less casual. Overall: I like this unpretentious place. The food is decent but the drinks really stood out. In addition, everything is very reasonably priced and affordable!